On February 13, 2017 at Igor Sikorsky Polytechnic Institute Memorandum of cooperation between the Institute for Global Transformations, Igor Sikorsky Polytechnic Institute and the World Data Center "Geoinformatics and Sustainable Development" was signed. 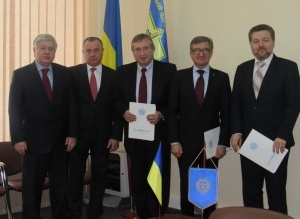 The groups agreed to join efforts to implement joint projects in the modernization of the national economy, efficiency and quality of research results and implementation of the state policy of Ukraine. The first step will be cooperation in research activities with a view to finalizing the Economic Doctrine "Ukraine 2030", initiated by the Institute for Global Transformation. 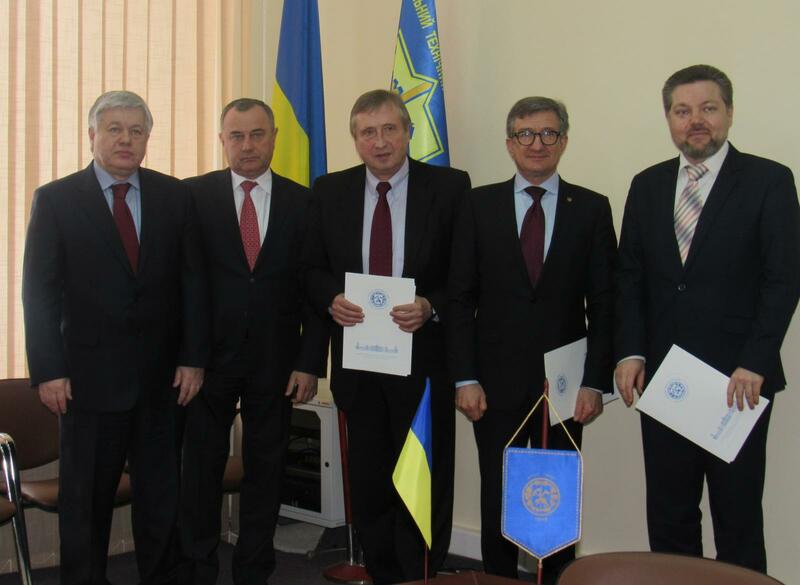 On behalf of the Institute for Global Transformation memorandum was signed by Chairman of the Supervisory Board of the Institute Serhiy Taruta, from Igor Sikorsky Polytechnic Institute - Rector Michael Zgurovsky, on behalf of the World Data Center - Director Kostianyin Yefremov. At the signing members of the governing bodies of the Institute for Global Transformation - Oleksandr Chaly, Ambassador Extraordinary and Plenipotentiary of Ukraine, Honored Lawyer of Ukraine, the former Deputy Minister of Foreign Affairs of Ukraine, the former deputy head of the Presidential Secretariat; Oleksandr Dombrowski, MP of Ukraine, First Deputy Chairman of the Verkhovna Rada of Ukraine's fuel and energy complex, nuclear policy and nuclear safety; Project Coordinator Economic Doctrine "Ukraine 2030" Oksana Melnichuk, and Vice Rector for International Relations of Igor Sikorsky Polytechnic Institute, Member of the NAS of Ukraine Serhiy Sydorenko, Deputy Vice Rector for International Relations Eugene Polishchuk, head of the Department of Management Victoria Dergachova and others.